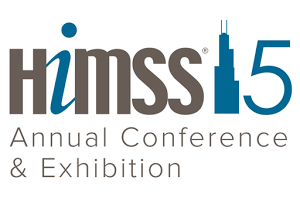 In early 2015, a leading healthcare technology company was preparing for one of the largest annual industry event run by Healthcare Information and Management Systems (HIMSS). The company’s objective in attending the show was to generate leads among potential C-Suite buyers and raise awareness for its software solutions. This company hired TopRank Marketing to create a strategic digital marketing campaign that would both accomplish event-related objectives and continue to generate awareness long-term. In order to create awareness at the event and benefit from the campaign long-term, the TopRank Marketing team developed an evergreen eBook featuring influencer-driven content that was launched the week of the event. Experts who were socially active and discussed relevant topics in the health care industry. Existing influencers that the company already had a relationship with. Gated landing page of eBook on company website. Ungated SlideShare of partial eBook that prompted users to download the full version. Influencer amplification via Twitter and LinkedIn. Paid social amplification via LinkedIn. Owned social amplification via Facebook, Twitter and LinkedIn. Content published on the company’s blog. Banner advertisement about the eBook on the company’s blog. TopRank continues to work with this company to provide Search Engine Optimization consulting services and content creation for better organic search visibility. Do you want to learn more about creating an influencer-driven eBook? Contact TopRank® Marketing today.